Excuse the radio silence but we have been frantically house hunting these past few weeks, and it looks like we might have found the ONE! A perfect mixture between being something thats ready to move into but could later develop into a project house further down the line, so be warned: Many more interior posts to come . Anyway the idea of taking on a new house has me thinking about all the floors that I love and how much I HATE carpet! I hate carpet for a number of reasons, the main being the amount of time you spend on your hands and knees scrubbing out that red wine or coffee that your toddler spilt while climbing on the table. But also because I find carpet incredibly unhygienic. I will never forget watching a program on hidden germs and an image that has been engrained into my brain is seeing a microscopic image of a 5 year old carpet floor. The horrors of dustmites! 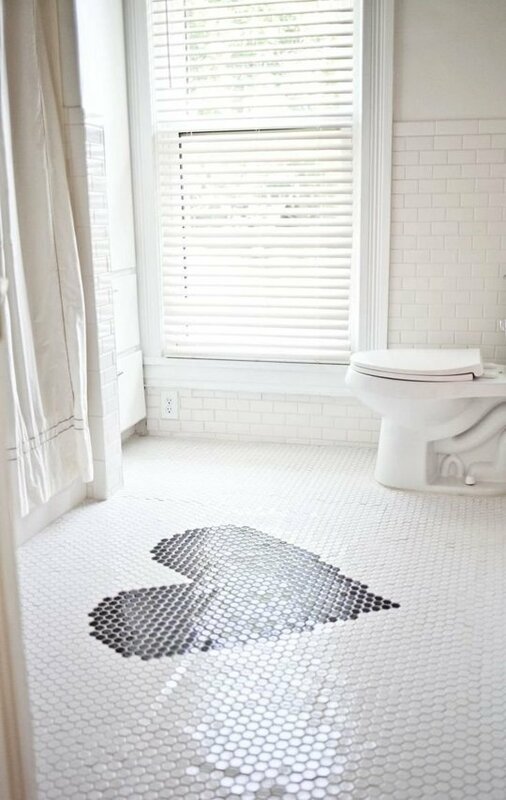 Anyways, enough about cleanliness and more about floors. 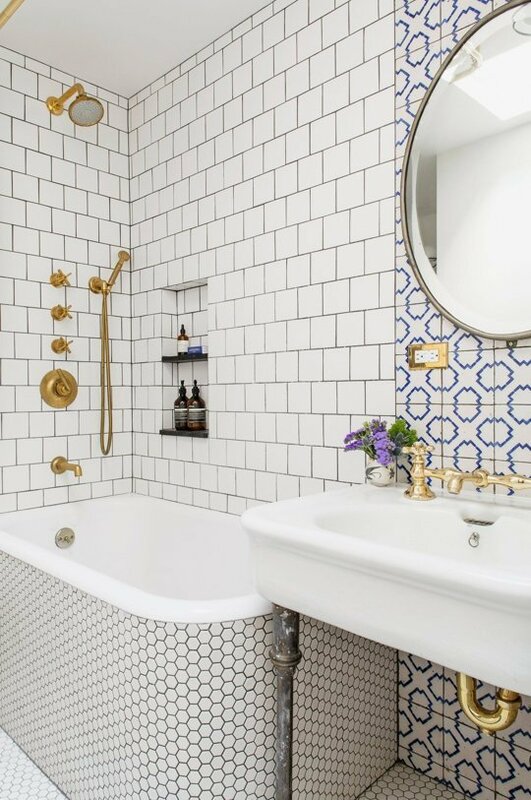 Whitewashed floorboards, Moroccan/Victorian/Indian handpainted tiles, parquet floorboards, painted floorboards, polished concrete... all the choices is making my brain hurt. 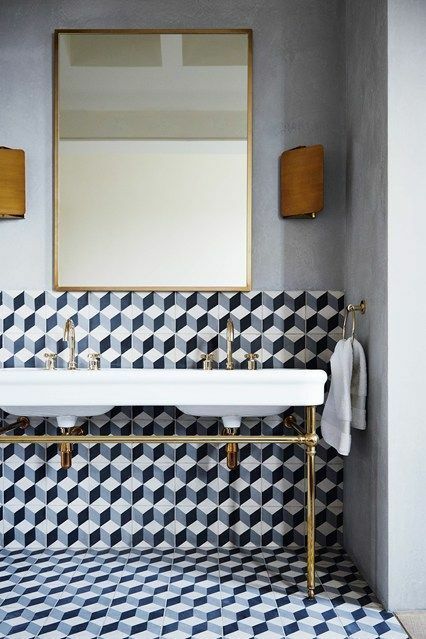 But after a recent trip to Morocco I couldn't stop fantasising about patterned tiles.. they just bring immediate atmosphere to a room. 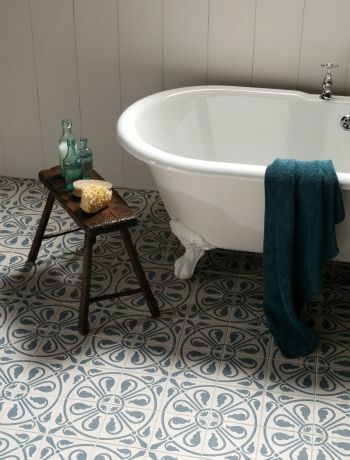 They look great in the hallway, bathrooms and kitchens but I am thinking some amazing tiles for the sunroom/greenhouse that I am desperate to create. 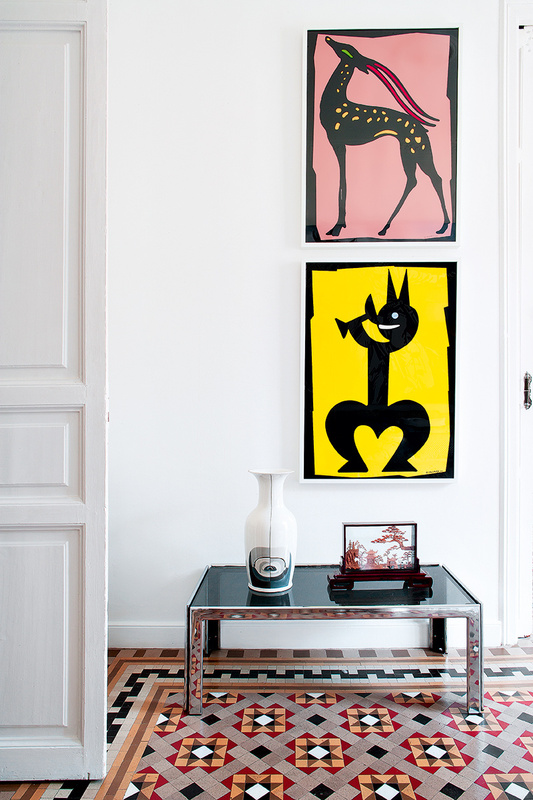 Here are a few of my favourite inspiration images. You can take a look at my Pinterest here. Next job is to find some suppliers. 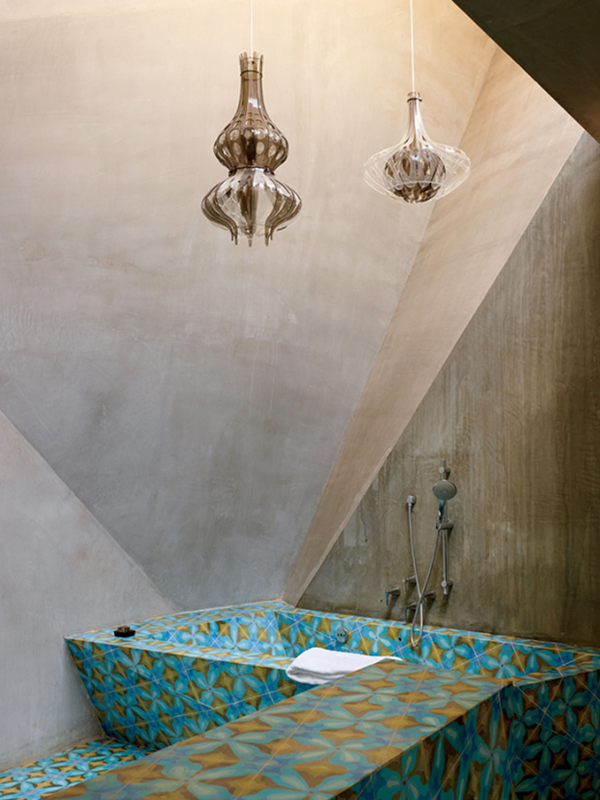 OK so no exactly tiles but how gorgeous are these basins. 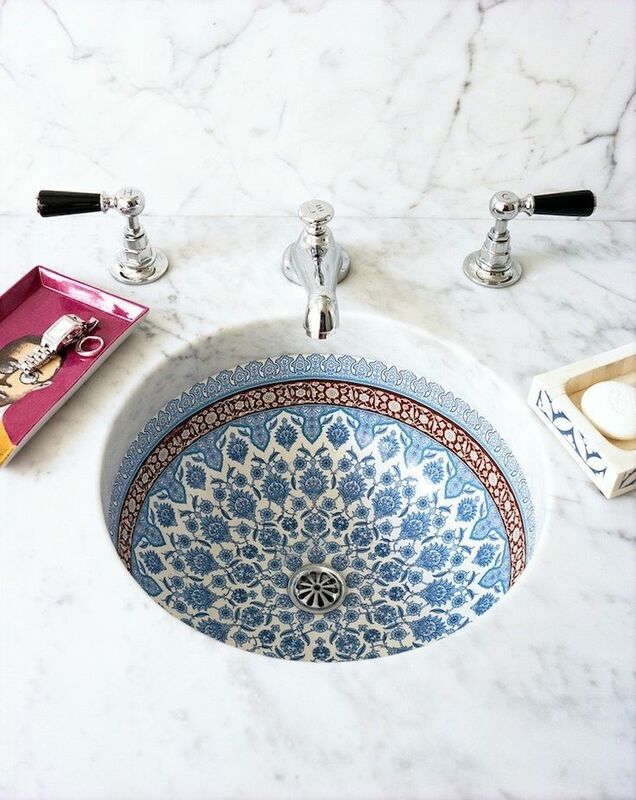 My friend Nathalie started a rad company, London Basin Company making decorative porcelain basins. Well worth a look. 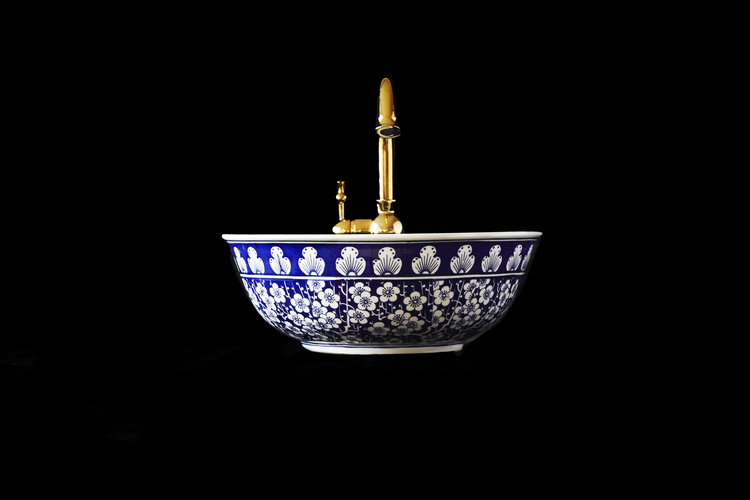 The image above is the Lorelei basin from the London Basin Company. 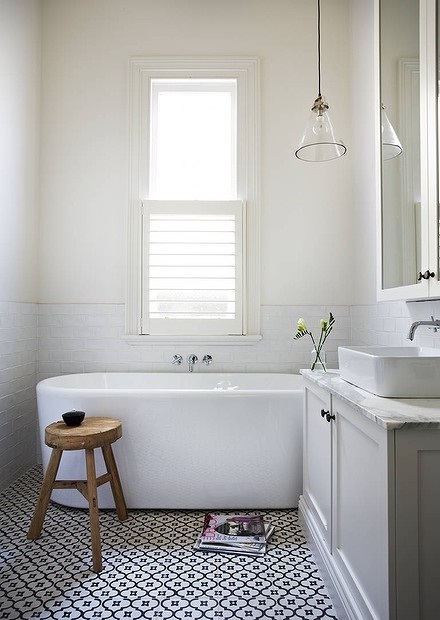 Monochrome simplicity by Jatana Interiors. Image by Armelle Habib via Sydney Morning Herald. 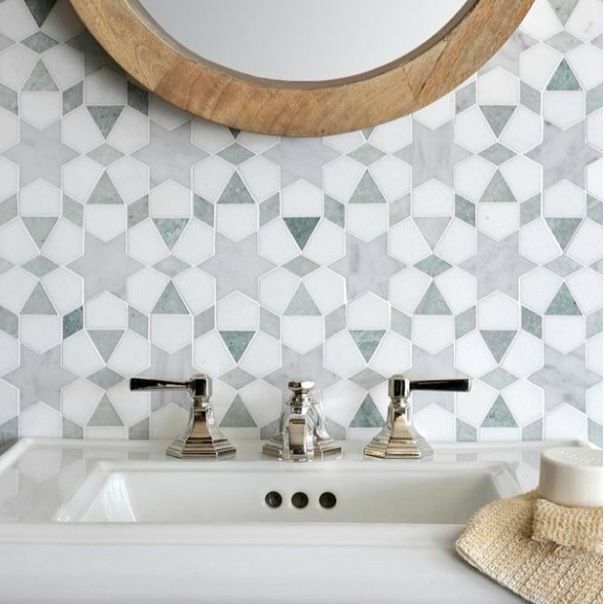 If anyone knows of a good tiling course I would love to do one. 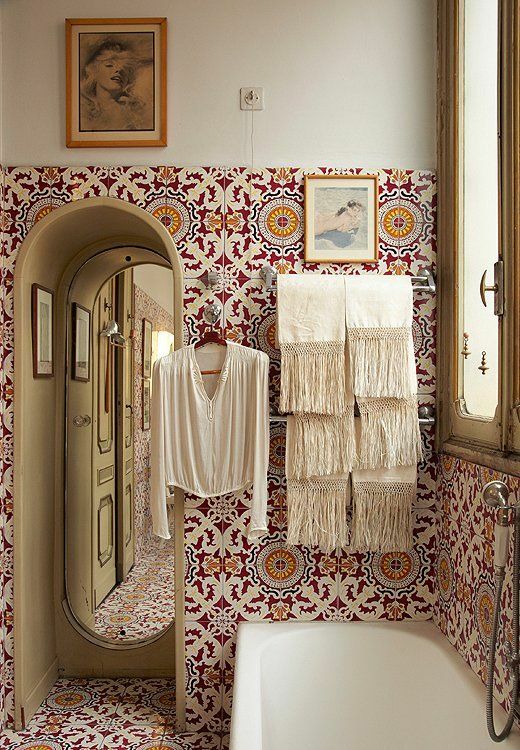 That way I can spend more money on some beautiful tiles for our new bathroom and sunroom!